When did you first decide that you wanted to make people laugh for a living? What was it that drew you into the world of stand up comedy? When I was a kid I wanted desperately to be Chris Farley. I watched his Best of SNL DVD a million times. I started doing improv at around 12 or 13 years old. It was me and like 6 other kids playing short form games in a Potbelly’s sandwich shop at Old Orchard Mall. I think all the time about what a nightmare it must have been for the people who were just trying to eat a sandwich in peace and had to watch these adolescent hams imitate Whose Line Is It Anyway. I was also into theater at the time, and always played comedic supporting roles and really loved it. In high school, I got way more into music, and played in a lot of bands and recorded a lot of (extremely embarrassing) music in my basement. In college, I started playing cover songs in bars (almost exclusively by 90s female singer songwriters). I loved doing that, but I realized that the entire time I was just trying to be funny, making jokes between songs, etc. I just thought about how much I loved comedy and decided that’s what I really wanted to do. It also didn’t hurt that the first live comedy show I ever saw was: John Mulaney hosting, Janeane Garafolo featuring, and Patton Oswalt headlining. It’d be impossible not to fall in love with the form. 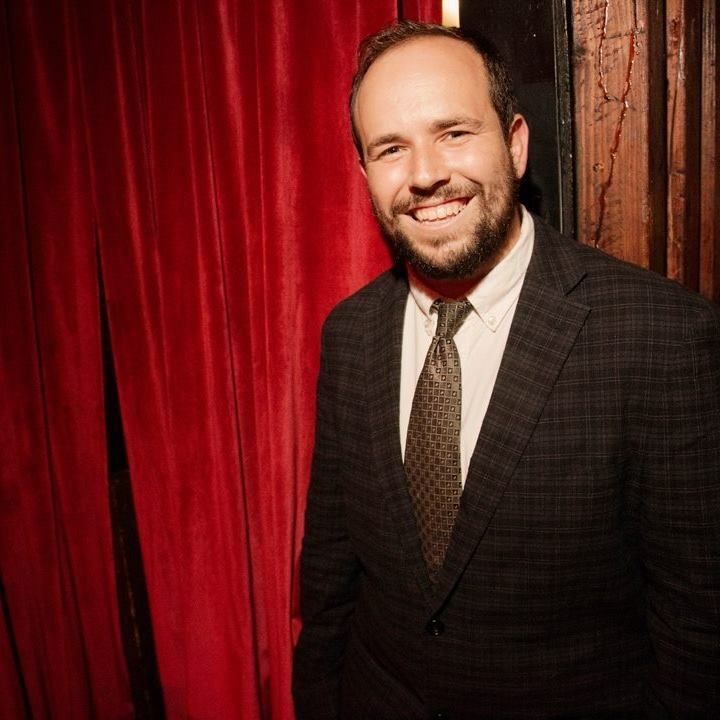 You have done stand up in several different venues across the country. I am always curious to know what comedians believe are cities that get slept on as terrific comedy towns. So in your personal experience, what are cities that you have worked in that people may not immediately consider to be good for anything, let alone comedy? Bloomington, Indiana! I’ve been 4 or 5 times in the last few years and I really love it. The Comedy Attic is one of the best clubs in the country and Limestone Comedy Fest is incredible. Also, I love the comedy scene in Boston. So many great shows and I always have an amazing time there. Recently, I’ve really liked going down to Philly as well. There’s also a great show in Manchester, New Hampshire at Shaskeen Pubs Wednesday nights that everyone who lives in the area should check out. All that being said, Chicago will always be my number one city for comedy and life and if you’re there check out the Lincoln Lodge! And I am also curious to know what each comedian’s method is for dealing with hecklers? So what is your process? And does it change when you are in different regions of the country? I feel like the problem that comes up way more often than hecklers for me is drunk people talking to each other or trying to encourage and be positive. It drives me crazy! Especially in New York, my thought is always, “you could literally be in any other bar and talk and not pay a cover and not ruin anything!” But those people always exist. I try to not engage as much as possible. I really just like to tell the jokes I’ve written. If it gets to the point where I have to respond, I always try to be funny but succinct and let them know I’m not interested in a conversation. I’m not out here trying to *own* people I just want everyone to have a fun night. 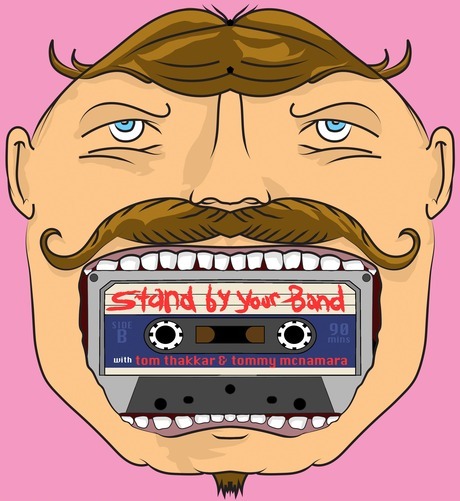 Your podcast Stand By Your Band that co-host with our past guest Tom Thakkar is absolutely brilliant, and incredible original. I seriously can’t get enough of it. So how did you and Tom come up with the concept for the podcast? What are your thoughts on what the podcast has become? Thanks so much, man! Tom gets all the credit for that! I was co-hosting his old podcast Girl’s Night, which was just a super silly show where we would do characters, etc. Then Tom thought of this idea to do a show where people talked about bands they loved that they got made fun of for, stemming from his love of Coldplay. He was going to do that one on his own, and recorded some episodes but then decided to kind of merge the two and bring me in. I’m so happy to be a part of it, it’s been a blast. What would you consider to be your favorite moment on the show thus far? Ok, this is an off air moment but it made me really happy. When we were doing the Will Smith episode I had this idea to write a Men In Black/Wild Wild West style Will Smith rap but about Pursuit of Happyness. Then Steven Castillo, the guest that week, showed up and said, “Hey just so you guys know I wrote out this Wild Wild West style rap about Concussion”. I couldn’t believe it! I was so happy we had the same idea. During the episode we did them back to back and it made me laugh really hard. Also, it’s incredibly embarrassing for me, but I think of me asking Patton Oswalt “Is Phil Collins from Los Angeles?” as a definitive moment. Also talking about Aqua with Liza Treyger was such a blast. And Good Charlotte with Blair Socci when she kept saying “Who among us…”! It’s hard to pick!!! The next thing I want to do is to record an album! I’ve been talking to my favorite comedy record label and hopefully I’ll be able to record later this year! So definitely be on the lookout for that, and keep listening to Stand By Your Band! Detroiters! I watched all three episodes from this season today and I think it’s my favorite show right now. It’s so funny and fun and Sam Richardson and Tim Robinson are perfect together.